Oh my goodness. One year ago TODAY, I sat down at a dinner with a whole table of amazing food bloggers in Orange County whom I am happy to call my friends now. These were people I had heard of before but had no idea that I would ever meet or even be in the company of a year later. Who was I, the new kid on the block, to be eating alongside these food bloggers? How did I end up there? Why was I sharing drinks with people and talking about the cocktails as if I hadn't just barely become legal to drink? It is completely unbelievable to me that it has only been one year since that night because of all of the wonderful events, restaurants, and adventures I have been able to experience through Much Ado About Fooding. I am very grateful for all of the businesses, PR people, restaurants, food writers, bloggers, and everyone who have helped me and the blog get to where it is now. How funny it is that this blog popped up from just a desire to post recipes and cooking tips! But hey, now that I've gotten some experience underneath my fingernails, I see that I need to continue working on my roots. One of the happiest moments that I get to enjoy is whenever someone tells me they've tried out a recipe that they love or have learned something useful about cooking from the blog. This tells me that I need to put up more of my originally-planned content of recipes, kitchen tips, and food information. 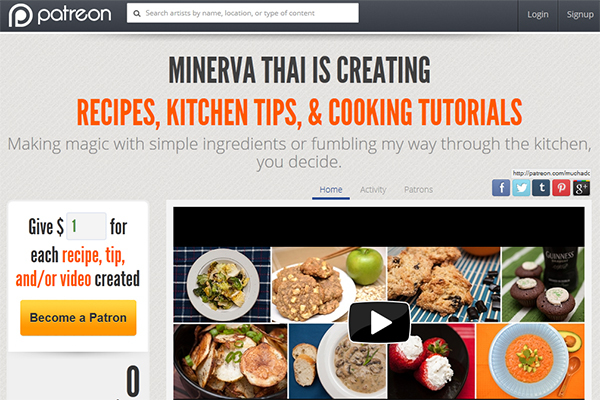 It's also another push at me to work on a goal I've had to create video cooking tutorials.